Dr. Allender is a zoo and wildlife veterinarian that graduated from the University of Illinois in 2004 with his DVM. He went on to complete a MS investigating the health and disease of box turtles and massasauga rattlesnakes prior to completing a residency in Zoological Medicince at the University of Tennessee and Knoxville Zoo. 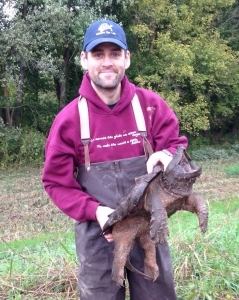 He then joined the faculty at the College of Veterinary Medicine at the University of Illinois and jointly completed a PhD studying the Epidemiology of Ranavirus in free-ranging chelonians. He currently teaches, performs research, and provides clinical service for free-ranging and captive wildlife. College of Veterinary Medicine at the University of Illinois Bio Page. 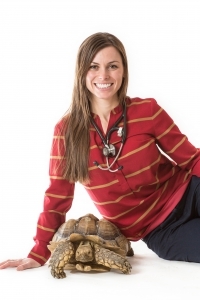 Dr. Keller is a veterinary specialist in Zoological Medicine with a passion for Zoological Companion Animals, or non traditional species that are a part of a human family. She is an Assistant Professor in the Department of Clinical Medicine at the College of Veterinary Medicine. Dr. Keller teaches, performs research and provides clinical service for captive zoological patients. Her current research is exploring the epidemiology of cutaneous mycosis (Nannizziopsis spp.) in companion lizards and elucidating prognostic indicators in captive wildlife. Dr. Adamovicz is a 2012 DVM graduate of the Virginia-Maryland Regional College of Veterinary Medicine. She joined the lab in 2015 as a PhD Fellow. 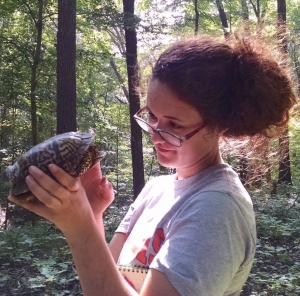 Her project assesses the wellness of wildlife indicated by the health of the eastern box turtle, ornate box turtle, and silvery salamander. 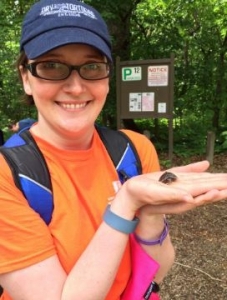 Dr. Ellen Haynes is a first year PhD student studying the epidemiology and treatment of Snake Fungal Disease. She earned her DVM from Cornell in 2013 and joined the lab in 2017. Jeremy is a combined DVM-PhD student. 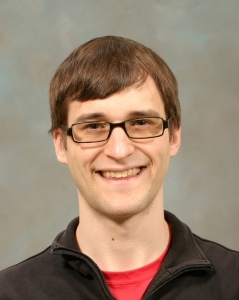 His project looks at the epidemiology and pathogenesis of ranavirus in free-ranging chelonians. Dr. Lindemann is a 2012 DVM graduate from Oregon State College of Veterinary Medicine. 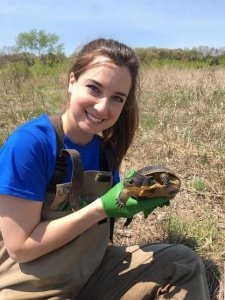 She is a 3rd year resident in the Illinois Zoological and Aquatic Animal Residency program and is pursuing a concurrent MS focusing on disease epidemiology in the Blanding’s turtle in Illinois. Dr. Tang is a 2014 DVM graduate from UC Davis School of Veterinary Medicine. She is a 2nd year resident in the Illinois Zoological and Aquatic Animal Residency program and completing a concurrent MS project on Peruvian pinnipeds. 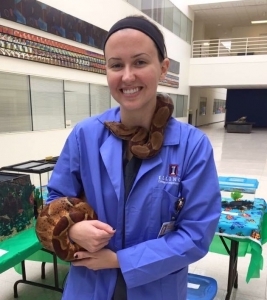 Dr. Sheldon is a first year in the Illinois Zoological and Aquatic Animal Residency and is eager to pursue a career in conservation medicine. Her Masters project is developing objective criteria for evaluating gait assessments in penguins with osteoarthritis and evaluating commonly used analgesic agents within that model. Kelsey is a graduate student. 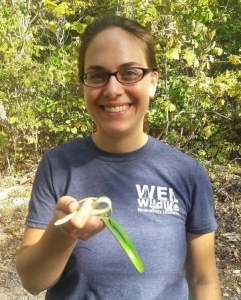 Her research works to identify disease outbreaks that affect multiple species of herps. 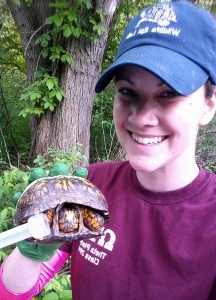 Kayla is a 4th year veterinary student who is involved in numerous projects for the turtle team. She is investigating the role the canine search team has in the transmission of turtle pathogens. 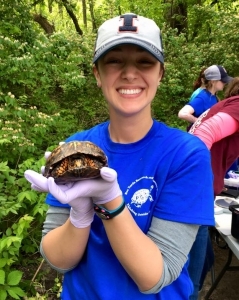 Katie is a 4th year veterinary student that spent the Summer in Tennessee with the Clinch River Environmental Studies Organization teaching students and collecting samples to test for diseases in reptiles and amphibians. 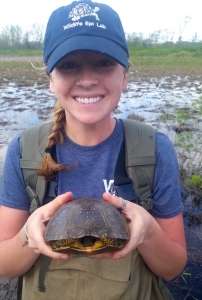 Erin is a 4th year veterinary student who spent the Summer in the Chicagoland area assessing the health of Blanding’s turtles. 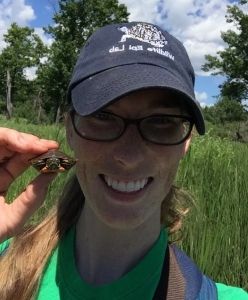 Her research focuses on using CT scans to measure body condition in turtles. Evan is a 4th year veterinary student. His research investigates thermography in the health assessment of free-ranging box turtles. Brittany is a 4th year veterinary student. She investigated mosquitoes as a potential vector for infectious diseases in free-ranging reptiles and amphibians. Seema is a 4th year veterinary student. 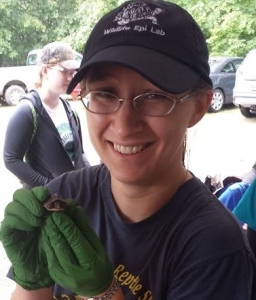 She spent the Summer in Ohio surveying for snake fungal disease. Jessica is a 4th year veterinary student. 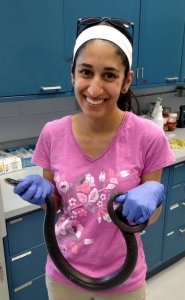 Her research involves blood smears of snakes with snake fungal disease. 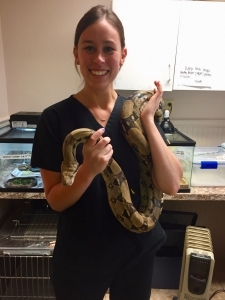 Megan is a 3rd year veterinary student that is involved in numerous projects with the lab, focusing on the geographical distribution of snake fungal disease. Samantha is a 3rd year veterinary student. 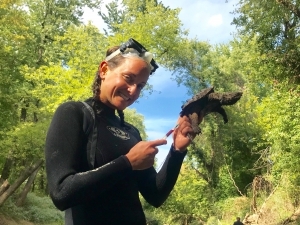 Her research is looking at the detection and prevalence of Mycoplasma in alligator snapping turtles in Illinois. Marta is a 2nd year veterinary student. She is researching disinfection strategies for Snake Fungal Disease. 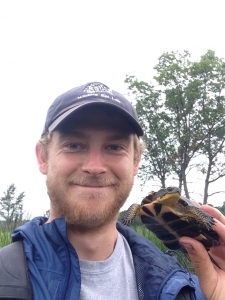 John is a 2nd year veterinary student who spent his first summer with the lab investigating pathogens in Blanding’s turtles. 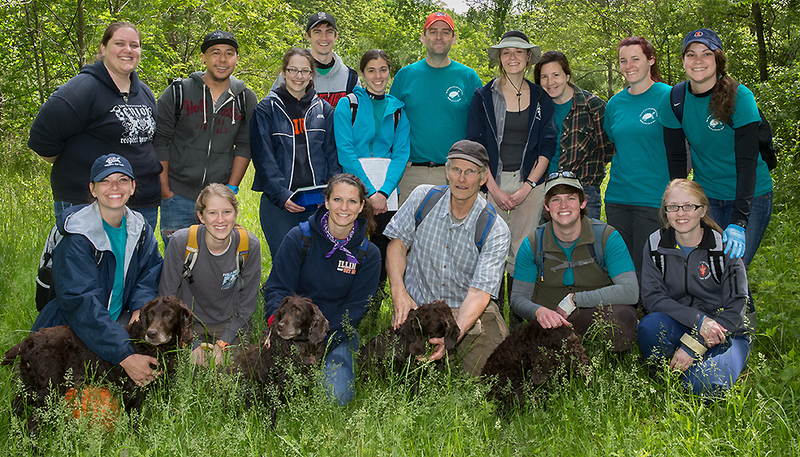 His second summer will involve evaluating methods for assessing hematology in eastern box turtles. Lauren is a 2nd year veterinary student. 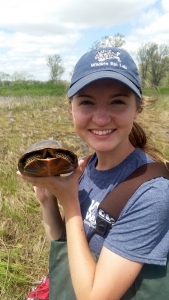 Her research involves analyzing hematology and plasma biochemistries of the state-endangered Blanding’s turtle. 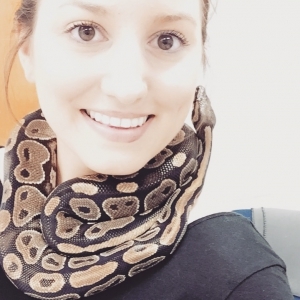 Megan is a second year veterinary student with a passion for snakes. Her research involves looking at snake fungal disease and educating the public on the importance and value of snakes. Taylor is a 2nd year veterinary student. 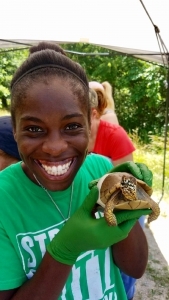 Her project focuses on detecting the prevalence of herpesvirus in Alligator Snapping Turtles. 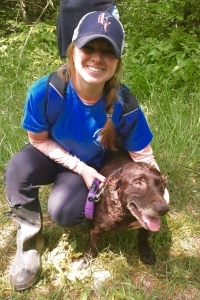 Caitlin is a second year veterinary student who assists with animal care for the lab. Her focus is on projects involving fungal disease in bearded dragons. Kirsten is a first year veterinary student with a passion for non traditional species. 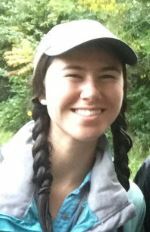 She is excited about developing a project within the Wildlife Epidemiology Lab during this first year for her to pursue in subsequent years. 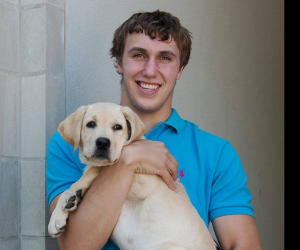 Bryce is a first year veterinary student that has personally owned and bred reptiles for a large portion of his life. 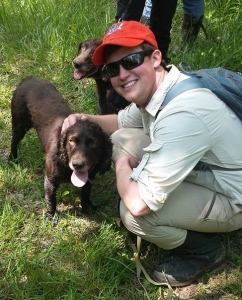 He is excited about finding a research project during his first year in the Wildlife Epidemiology Lab to pursue. 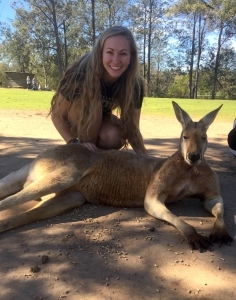 Katherine is a first year veterinary student that is excited about all Zoological Species. 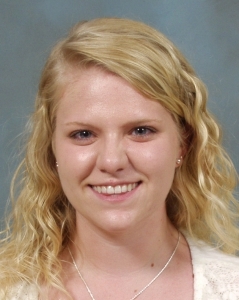 She is currently exploring opportunities within the lab to develop a project in subsequent years. 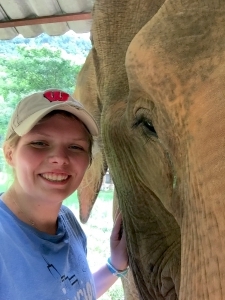 Ivana is a first year veterinary student that is excited to pursue a career in companion zoological species. She is currently exploring project opportunities within the lab to develop a project for her to pursue.